Most school districts and states don’t look at all the right data to improve school attendance. They track how many students show up every day and how many are skipping school without an excuse, but not how many are missing so many days in excused and unexcused absence that they are headed off track academically. Custodial parents must be present to register a child for school. The child must reside with a custodial guardian. The Marshall County School System requires a person to have at least a temporary custody order that is signed by a judge. · Withdrawal from a previous school. 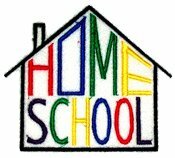 Parents who reside in Marshall County and are planning to home school their children for the 2018-19 school year need to register with the Marshall County School System between the dates of August 1 and August 15, at the Marshall County Board of Education, 700 Jones Circle, Lewisburg, TN 37091. If a home school student plans to try out for athletics at their zoned school, then all requests and documentation should be filed at the Marshall County Board of Education by August 1, 2018. The intent to participate in athletics must be completed and filed no later than August 15 of the current school year. Information and requirements regarding home school athletic participation can be found in Administrative Procedures (4.6R1) on the Marshall County Schools website. For additional information, please contact the Student Services office of Marshall County Schools 931-359-1581 ext: 2007. · Copy of signed lease agreement (including renewed lease agreement, signed valid non-contingent real estate sales contract or signed executed settlement with supporting documentation. · Minimum of one utility bill (gas, electric, water, or hook-up verification) with physical address or other similar documents. · The resident verification form must be signed with signatures notarized by both parent/guardian and legal resident. The legal resident must be present at a time of registration verifying residence at the Marshall County address. · Documentation verifying proof of Marshall County resident from the resident stated above. · Photo ID of both the resident and the parent/guardian (driver license or passport. Marshall County Schools' Attendance Rules and Progressive Truancy Intervention Plan can be accessed under the MCS Board Policy 6.2. A student who fails to maintain satisfactory academic progress (making a passing grade) based on end of semester grading in three (3) full unit subjects or their equivalency. 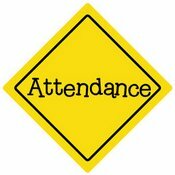 A student who misses ten (10) consecutive or fifteen (15) cumulative days of unexcused absences during a single semester. Out–of-school suspension, expulsion, or confinement in a correctional institution is considered as an unexcused absence under the law. Once a student has received notice from the Department of Safety that their driver’s license has been revoked, he/she may request reinstatement of their driver’s license when he/she proves satisfactory academic progress (making a passing grade) in at least three (3) full unit subjects or their equivalency at the conclusion of any grading period (usually a nine-weeks or semester-end grading period). 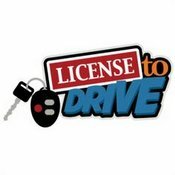 A student desiring reinstatement of their license must request a reinstatement certificate from their home school after meeting the above criteria. The certificate may then be presented at the driver’s testing station. For Homeschool information please contact Amanda Roberts at the Marshall County School Board. See Helpful Links for more information. Marshall County Schools is dedicated to the prevention of bullying in our school district. If a student feels he/she has been bullied, please report it to your teacher, counselor, or administrator immediately. See Helpful Links for more information on Bullying and Suicide Prevention. The mission of the Marshall County Counseling Program is to assist ALL students in their quest to become productive citizens and responsible life learners through their academic development, personal and social growth, and career readiness. The vision of Marshall County Counseling Program will provide the atmosphere of security, acceptance, and encouragement as student work to reach their fullest potential in the areas of academics, career, and personal-social development. The school counseling program is continuously being assessed and improved through systematic review of student performance data and school climate awareness. 5. The school counselor will assist ALL students’ pursuit in attaining a postsecondary opportunity. Embrace open, responsive governance through statewide planning groups and the Three Branches Institute , comprised of leadership from the Executive, Legislative and Judicial branches of government, who were invited by the Governor to form a common agenda to advance child welfare and realign the juvenile justice system.? For more information see Helpful Links. Marshall County Schools is dedicated to the prevention of teen suicide. For more information and a link to the Suicide Prevention Hotline, please see Helpful Links. Section 504 is a federal civil rights law designed to eliminate disability discrimination in programs and activities that receive federal funds. All LEAs receive federal funds, therefore denying a disabled student a FAPE constitutes disability discrimination. What is a "program or activity"? The term includes all levels of TDOE and all LEAs or schools receiving federal funds regardless of whether the specific program or activity involved is a direct recipient of federal funds. If an LEA contracts with alternative education programs, it must insure that a student with disabilities has an equal opportunity to participate in alternative education, even though the programs themselves do not directly receive any federal funds. Who is a "qualified" individual with a disability? For elementary and secondary education programs, regulations define a qualified individual with a disability as one who is: (a) of an age during which non-disabled individuals are provided with educational services; (b) of any age during which it is mandatory under state law to provide such services to disabled individuals; or (c) entitled to FAPE under IDEA. Section 504 covers qualified students with disabilities who attend LEAs receiving federal funds. To be protected, a student must be determined to: (a) have a physical or mental impairment that substantially limits one or more major life activities; (b) have a record of such impairment; or (c) be regarded as having such impairment. 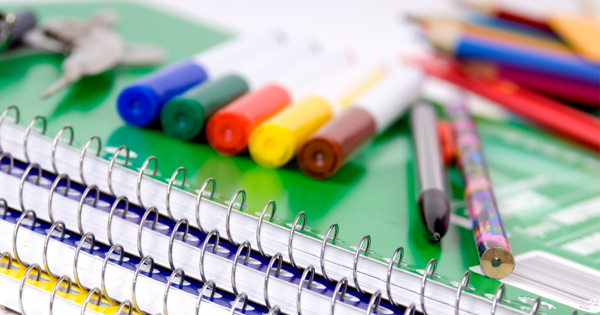 LEAs must provide FAPE to qualified students in their jurisdictions who may have a physical or mental impairment that substantially limits one or more major life activities. The meaning of “disabled student” was substantially broadened by the American’s with Disabilities Amendments Act of 2008, which became effective on January 1, 2009. Congress amended the ADA in 2008 to create “clear, strong, consistent, enforceable standards” to broaden who qualifies as a “disabled person” under Section 504 and the ADA. Therefore, the term “physical or mental impairment” is not limited to any specific diseases or categories of medical conditions. Additionally, the impairment need not prevent, or significantly or severely restrict a student in performing a major life activity to be considered “substantially limiting.” Practically any activity that is of importance to a school-aged student’s daily life now qualifies as a “major life activity,” and an impairment that substantially limits one major life activity need not limit other major life activities to be considered a disability. Major life activities, as defined in the Section 504 regulations, include functions such as caring for one's self, performing manual tasks, walking, seeing, hearing, speaking, breathing, learning, and working. This list is not exhaustive. Other functions can be major life activities for purposes of Section 504. In the Amendments Act, Congress provided additional examples of general activities that are major life activities, including TDOE Section 504 Guide 9 | Page eating, sleeping, standing, lifting, bending, reading, concentrating, thinking, and communicating. Congress also provided a non-exhaustive list of examples of “major bodily functions” that are major life activities, such as the functions of the immune system, normal cell growth, digestive, bowel, bladder, neurological, brain, respiratory, circulatory, endocrine, and reproductive functions. The Section 504 regulatory provision, though not as comprehensive as the Amendments Act, is still valid – the regulatory provision’s list of examples of major life activities is not exclusive, and an activity or function not specifically listed in the regulatory provision can nonetheless be a major life activity. When determining eligibility, a student should be compared to non-disabled age/grade-level peers. Mitigating measures used by a disabled student to manage an impairment or lessen the impact of an impairment (e.g. medication, medical devices, related aids and services, etc.) should be disregarded when determining whether a student’s impairment constitutes a disability. There is one exception to the mitigating measures analysis. The ameliorative effects of the mitigating measures of ordinary eyeglasses or contact lenses shall be considered in determining if the impairment substantially limits a major life activity. “Ordinary eyeglasses or contact lenses” are lenses that are intended to fully correct visual acuity or eliminate refractive error, whereas “low-vision devices” are devices that magnify, enhance, or otherwise augment a visual image. A temporary impairment is a disability under Section 504 and the ADA if it is severe enough that it substantially limits a major life activity for a student. The issue of whether a temporary impairment is substantial enough to be a disability must be resolved on a caseby-case basis, taking into consideration both, the duration (or expected duration) of the impairment and the extent to which it actually limits a major life activity of the affected individual. Episodic Impairments An impairment that is episodic or in remission (e.g. epilepsy, cancer, bipolar disorder, etc.) is a disability under Section 504 and the ADA, if it substantially limits a major life activity for a student when active. Such a student is entitled to a FAPE. Transitory Impairments Impairment with an actual or expected duration of six (6) months or less. In the ADAAA, Congress clarified that an individual is not “regarded as” an individual with a disability if the impairment is transitory or minor.